There are two kinds of people in the world; those who like all of their controllers to match, and those who want them to stand out with awesome color-schemes called stuff like like Volcano Shadow. If you’re part of the former group then I have little to offer you this morning, but if you’re in the latter then BOY DO WE HAVE SOME NEWS FOR YOU. 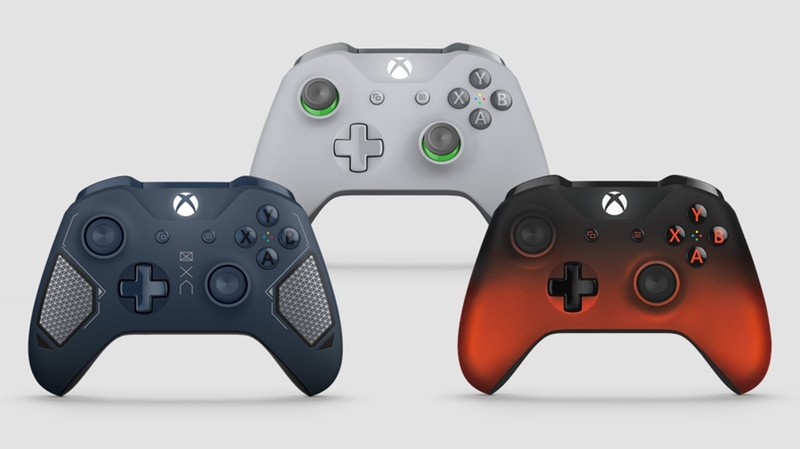 Alongside the newly shrunken Xbox Wireless PC Adapter Microsoft has announced a trio of new controller colors. us boring, but our preference is probably for the latter controller. The grey design with flourescent green accents reminds us of the Xbox 360’s sleek home screen interface. The three controllers will retail for $69.99. The Green/Grey and Volcano Shadow controllers will be available from August 3, while you’ll have to wait until September 5 for the Patrol Tech version. Of course, if you think you could do a better job at designing a custom color scheme then the Xbox Design Lab will let you do just that. That’s how we ended up with our GameCube-inspired monstrosity. Watch CES Day 2 LIVE right here! Oh Snap! Did Snap Really Lose $2 Billion In 3 Months And Is Facebook To Blame?